From his reinvention of the crime film in the Pusher trilogy to his hallucinatory viking adventure Valhalla Rising, Danish-born director Nicolas Winding Refn is quickly proving himself to be one of the most capable genre film directors in cinema today. 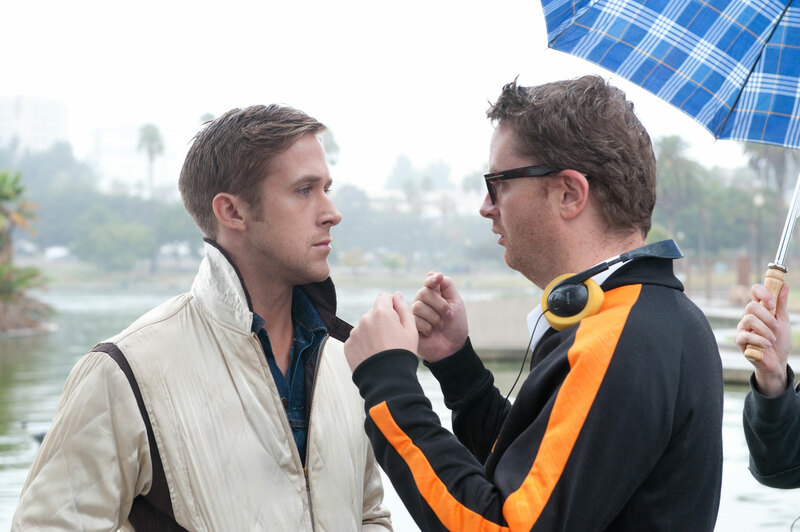 Cinedelphia recently spoke to Refn about his latest film, the heavily atmospheric Ryan Gosling vehicle Drive, which will surely be a staple on critics’ 2011 top 10 lists. CINEDELPHIA: Can you describe Drive’s unique atmosphere? 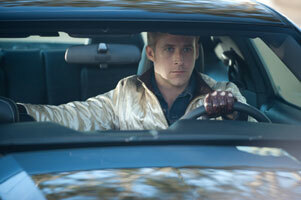 NICOLAS WINDING REFN: Well, that’s hard. I can say that I’m very much a fetish personality in that I make films based on what I want to see. So it’s hard for me to be specific because many times I don’t know why I want to see it, it just feels right. C: I detected an ‘80s throwback vibe. NWR: Well, it wasn’t intentional, but I think my admiration of John Hughes movies probably snuck its way into the first half. 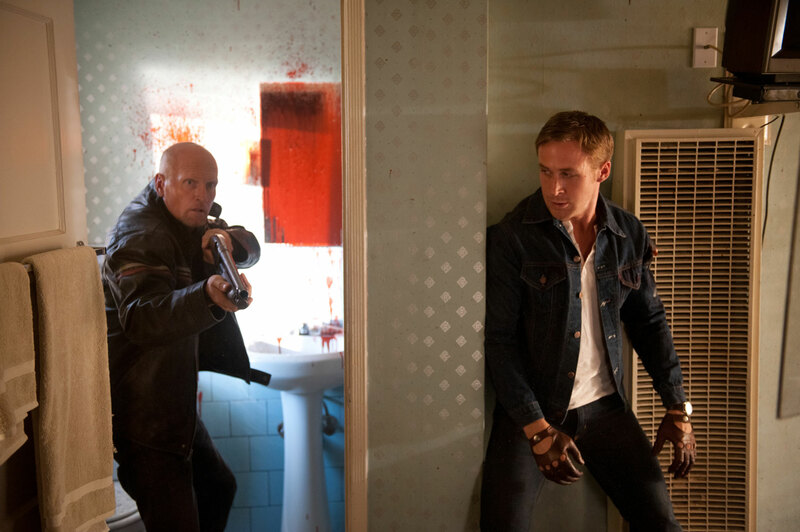 C : The film is light on dialogue with these unexpected bursts of extreme violence, definitely a departure from what we’re used to seeing in mainstream Hollywood films. NWR: Filmmaking is about what you see, well actually it’s about what you don’t see. I felt that this character would be much more interesting with a mysterious past and because of that he will automatically speak less. It’s through his actions that we read and interpret [the character], a bit similar to One Eye in Valhalla Rising. C: And I think that those short bursts of violence really say a lot about his character, an introspective person who can react violently when the situation calls for it. And that’s a character trait that’s noticeable in your previous films. NWR: Well, it’s about people that undergo transformations and due to those transformations they’re pushed against the wall and have to react through violence because they’re unable to verbalize their intentions or solve conflicts through words. They have to use actions. I believe that’s becoming a recurring thing when I look back on all of my movies, especially going from Bronson to Valhalla Rising to Drive, it’s like a trilogy in a sense that they’re about people who transform themselves. C: This was your first feature film that you didn’t actually write, was it a different filmmaking experience for you? NWR: No, because I liked the source material, the book, so much that I was able to take what I liked and incorporate my own fetish into it. So it was a great collaboration. C: Did the novel that it’s based on provide you with merely a structure or would you call it a literal adaptation? NWR: It provided me with a character. And a setting, a strange place about movie mythology. C: Did you have a hand in the film’s unique casting? NWR: Yeah, that’s one of my conditions, that’s the only way you can make what you do yours. 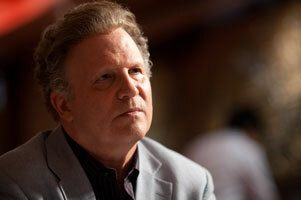 C: I was very surprised to see Albert Brooks in such an aggressive role. NWR: He was my first idea, really. Usually you’re given a list in Hollywood of other potentials, but I was very insistent that he was the one to do it. I would hear other names, other actors who were very good, but I always had a deep down thing for Albert Brooks. One of the conditions was that all of the actors had to come to my house and meet with me. When Albert came by you could really sense his incredible sense of energy, a volcano of emotions. He’d never played a gangster before or killed anybody in a film and I knew that he could kill somebody. I always wanted his character to be a movie producer, in the book he’s a gangster, in my film version he’s more of an equally enigmatic character as Driver is. C: Did that decision arise from an intention to relate movie producers to gangsters? NWR: No, because I’ve always been a one man army. I do consider that there are a lot of crooks in the film industry and, for some reason, they always end up in the producers’ corner. I myself have never had any bad experiences with them, but I know a lot of other people have so it’s always, y’know, keep your gun loaded. 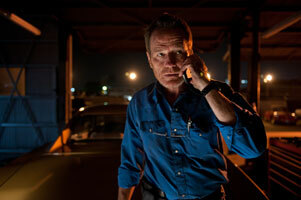 C: Bryan Cranston also stands out in the film. 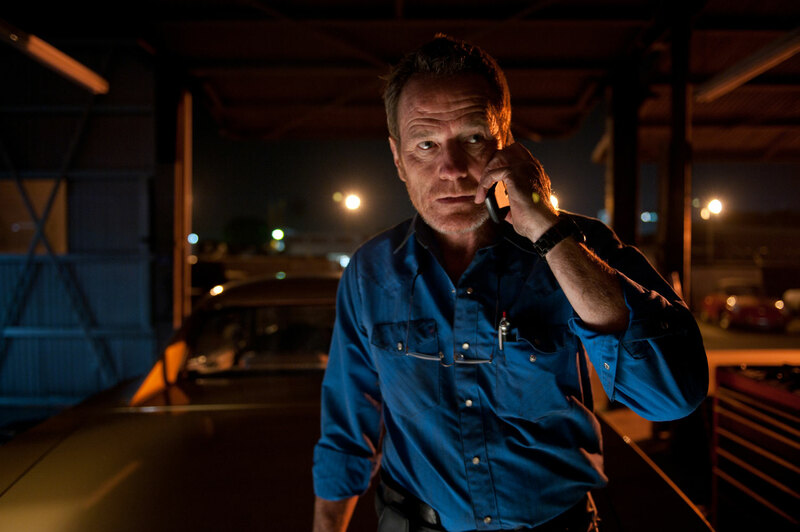 Were you a fan of him on Breaking Bad? C: You seem to be moving closer to a more mainstream Hollywood career, at least distribution-wise. Do you ever concern yourself with the financial success of the film during the filmmaking process or do you concentrate on the film itself? NWR: You always have to be conscious of money so I try to make films with as little money as possible because as long as people don’t lose money and they like the films you make they will always support you. The problem is when you get into the area of losing money so I’m very conscious of that, but at the same time you can only make the movie you make so it’s a balance of where your worries lie. C: I could see that being a difficult balance especially when it comes to ambition. NWR: It’s always a struggle to find the balance and I always say that it’s easy if you want to make a black and white movie in a basement or a 200 million dollar toy-selling franchise because there are formulas on how to do it. The hardest part is the middle ground. And for all the filmmakers that I admire, from Alfred Hitchcock to Sam Peckinpah to Frank Capra to John Ford, all those great filmmakers, it was always about finding the balance in between. C: You’ll soon be traveling to Thailand to work on another film with Ryan Gosling. NWR: That’s correct. We got along so well that we decided to do two more movies together. C: You seem to have covered the globe in your previous seven or eight features. I don’t think there are a lot of filmmakers that stray too far from home these days. NWR: I love to travel and I love to be a stranger in a strange land. Life is very short. Hans Christian Anderson always said that “Traveling is living” so it’s doing that and yet sustaining your family life, which is a balance within itself. 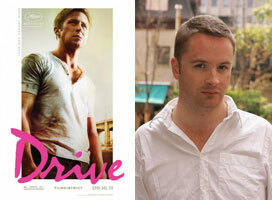 Drive opens wide in Philadelphia area theaters this Friday.